South’s interest in two-meets-three-dimensional work was sparked when making sketches of armatures for large concrete sculptures. 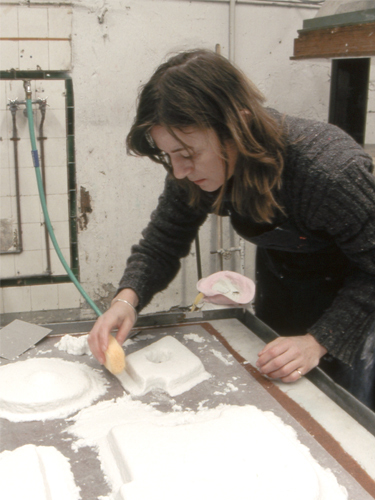 She began investigating the play between drawing and sculpture that has resulted in numerous installations. Typically South uses materials such as mylar, string, and commercial paper – cutting and constructing components for installations which are assembled as true feats of engineering. Each element is suspended from and projecting out from the wall with hooks and lines, casting shadows created by their cut-outs. 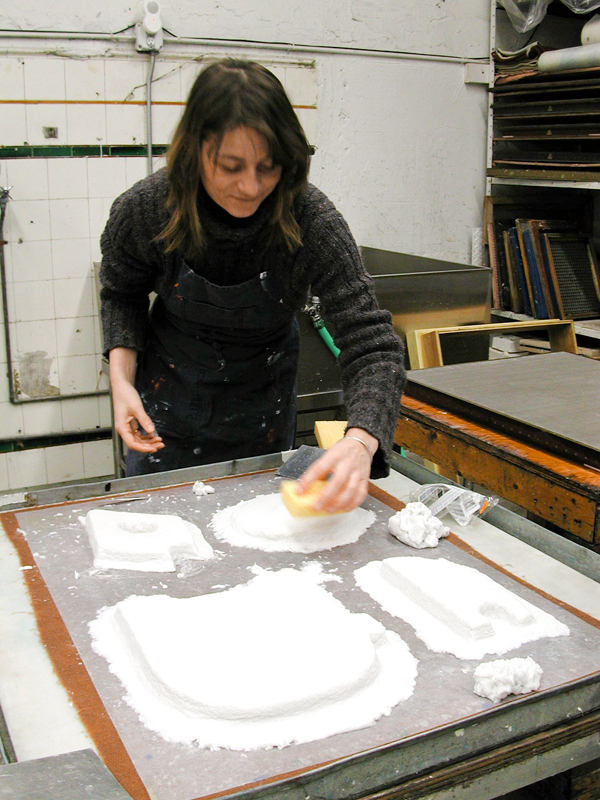 During her residency, South spent her days in the studio with Artistic Director Paul Wong where she produced handmade paper elements to be included in her installations. 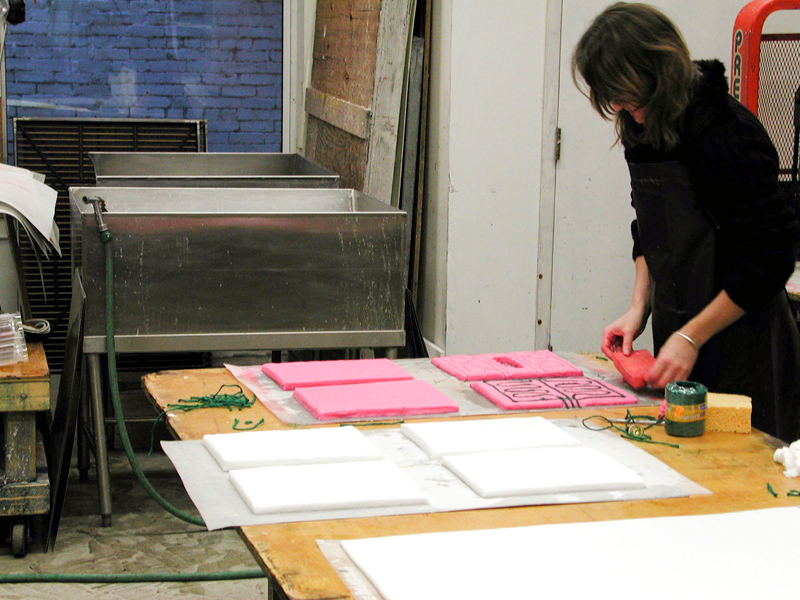 Casting cotton paper pulp in shades of white, red, pink, and black onto Styrofoam forms, the artist created three-dimensional paper elements that were affixed directly to the wall. 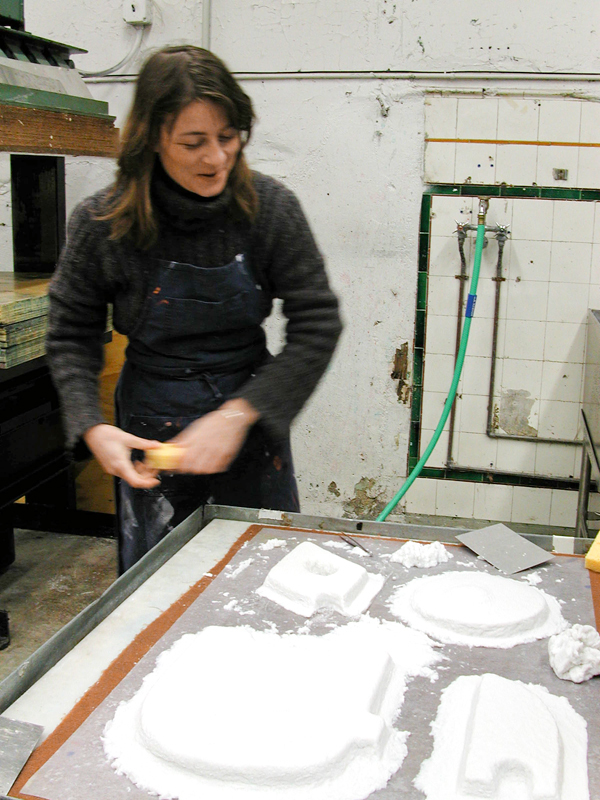 These handmade paper elements were incorporated in her wall installation for the exhibition Bits ‘n’ Pieces, curated by Beth Venn at the DUMBO Arts Center in Brooklyn, NY. 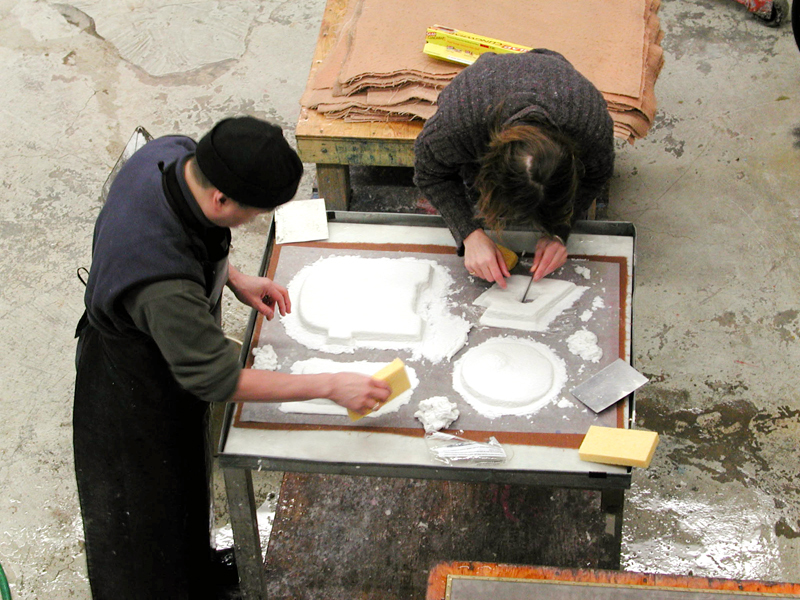 In addition to these cast forms, South also produced numerous two-dimensional sheets of paper that she propped up during the drying process to make portions of the sheet fold out like pop-ups. Jane South received a BA in Theater Set and Costume Design from Central School of Art in London and an MFA in Painting & Sculpture from the University of North Carolina in Greensboro. She is represented by Spencer Brownstone Gallery in New York.